A sudden summer squall on Lake Ontario took the lives of more than eighty brave Navy recruits and sent two vessels to the bottom in minutes. It happened 199 years ago on Aug 8 1813 and it was the largest loss of life ever to occur during naval action on Lake Ontario in that war. Sadly, haste and poor engineering and design work were as much to blame for the deaths of the men as was the weather. 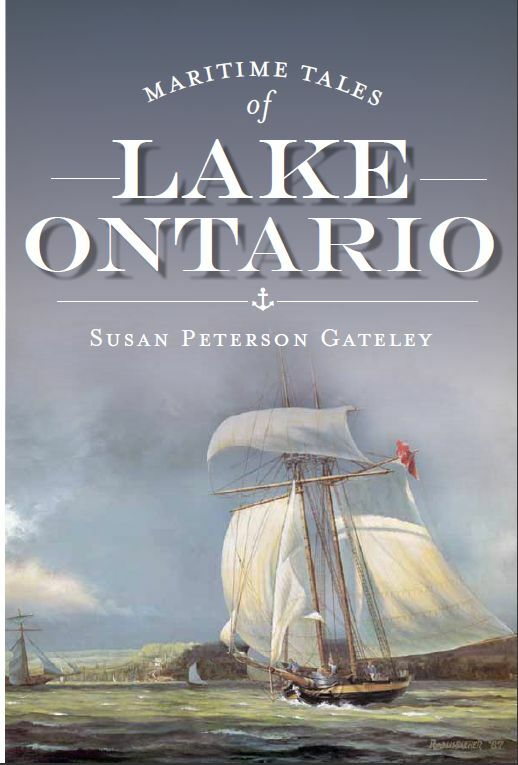 The story of the “Hamilton” and “Scourge”, two American gunboats that were lost that night is included in the Maritime Tales of Lake Ontario, a new book on Lake Ontario history by Susan Peterson Gateley. Shipwrecks are a part of Lake Ontario's history. But so is innovation, wealth building, heroism, and bungling on a grand scale. You'll find examples of each of these actions in this collection of historic incidents and personalities who once worked on and by the waters of this Great Lake between 1728 and the present. Sail the lake of the past with Admiral Rene La Force, a tough and cunning survivor of the French and Indian War, and with Captain James Van Cleve, a businessman, artist and historian and pioneer of steam navigation Walk the waterfront in the days of canvas, pine tar, and wooden schooners, visit the lake's loneliest island once a summer home to one of the world's most powerful men, and explore the St. Lawrence Seaway-boon or boondoggle to millions, in this new collection of lake tales. 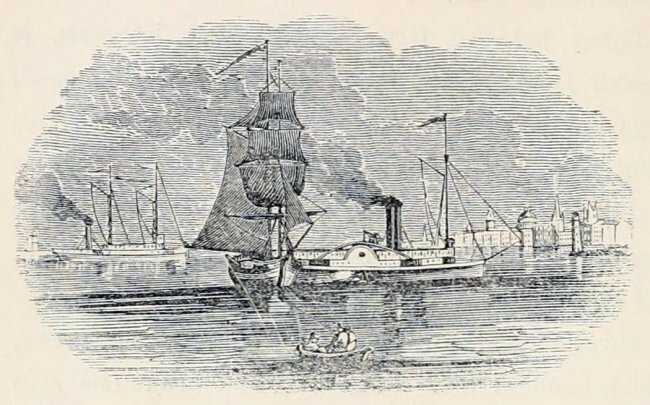 Maritime Tales has over fifty illustrations and figures. Author Susan Peterson Gateley is an experienced and enthusiastic sailor with a keen interest in maritime heritage. She single handed a wooden sloop around the lake for seventeen years collecting material for magazine articles and books before joining forces with another lake sailor and adding 'Gateley' to her name. She is part owner of the classic gaff rigged schooner “Sara B” and has written a half dozen full length books and hundreds of articles on Lake Ontario. © Copyright 2019 Susan Peterson Gateley. All rights reserved.